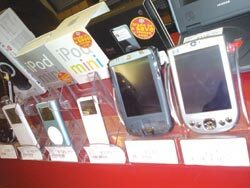 Franchisee profile: Energetic and enthusiastic people capable of managing a busy shop. Retail experience and an interest in the product ranges would be advantageous. \"When I visited one of their shops, I have to say, I was completely hooked - I loved the idea. We could see it was a business with real potential.\"
Providing an essential outlet for those who wish to keep their finger on the pulse, CeX (Complete entertainment Exchange) is becoming a valuable player in the ever-evolving home entertainment and technology sector. Whether buying customers' superseded goods or selling the latest cutting-edge products at an affordable price, CeX gives its customers the best of both worlds. 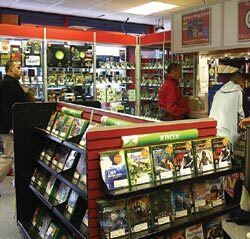 CeX specialises in five main product lines, named 'Super Categories': Videogames, DVDs, Computing, Electronics and Mobile Phones. With a 12-month warranty provided with all second-hand goods, customers are able to make an affordable purchase with confidence. 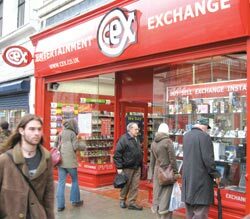 The further attraction to customers is that CeX enables them to exchange their unwanted or used goods for either cash or something they do want. Franchisees will benefit from CeX's knowledge and experience of the marketplace such as optimal buying and selling prices and product supply and demand curves, which are essential to business success and avoiding stock shortages or surpluses. Ongoing support is provided by the senior management team including general business advice, new product updates, pricing, marketing, product repair, stock redistribution, IT, HR, CeX's public website and intranet. Through a high-tech website, customers can check real-time product availability or obtain an estimate for an items exchange. Each store has access to the CeX call centre, which serves customer enquiries, and a bespoke EPOS system designed especially to simplify the buying, selling and exchanging of goods. Stephen Boult, CeX's latest franchisee, looks forward to opening his first store. 'About a year and a half ago my wife starting working as the Finance Director for CeX. When I visited one of their shops, I have to say I was completely hooked - I loved the idea. We could see it was a business with real potential. The more I looked at the franchise, the more I could say that this was the opportunity for me. It was something I could see myself enjoying.